Vanity numbers are easy to remember so they’re great for companies who do business over the phone on a national level or those who spend a lot of money on display advertising, like a billboard. Relying on customers to remember the 10 digit number they just saw on a billboard as they pass on the highway is simply unrealistic. Expecting them to remember something like 1-800-Flowers as they drive by makes a lot more sense. Once you have left your job and decided to earn as much as you want, you explore all the possible ways to set up a profitable business. Whether you have made up your mind to not join a business or have left the job to start a business venture, there are certain things that you need to pay heed to. Vanity phone numbers are an extension of name recognition, a process those in the marketing business call branding. Once you purchase your toll free vanity phone number, your customer base will expand further when you include that number in your advertising, whether it’s in your print media, billboards and other signage, or on a company vehicle. When a service or product is needed, the customers immediately know where to go. Your telephone number is both the name identified with your product or service, as well as the roadmap that leads them to your door. Vanity phone numbers help improve the customer experience for several reasons. First of all, because vanity numbers are memorable and unique, they help improve customer recall. 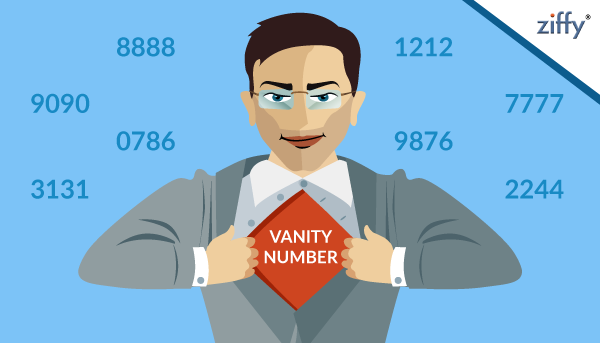 When clients are exposed to a vanity number, they may not need to call the business right away. Your competition understands this, so they use vanity numbers to make sure that potential customers have the phone number memorized well before it’s time to actually place the phone call. Vanity numbers also help prevent misdials, which happens when recall is poor. Overall, when a customer sees that the business has used a vanity number, they get the immediate impression that it was done for their benefit and it shows that they are valued. When customers look at businesses and phone number choices, they say having an 800 number makes the business seem more credible. In other words, customers see a business that has invested in a vanity number as one that will be around for awhile. When a person invests in a product, they like to know the business will be there to answer questions and to purchase from again. The toll-free vanity number says you are here to stay. Don’t let your competitors be the only ones to benefit from using them. Reserve your vanity 800 number today!